$1,989.00 This item is selling for $1,989.00 on eBay. Mirrored Dining Table from the Jessica McClintock Couture Collection by American Drew Item# 908-760 Finish: Antiqued Silver Leaf Dimensions: 48"W x 49"D x 30"H Table Extends to 96"W with Two 24" Leaves (Included) This stunning dining table is sure to be the focal point of your dining room! 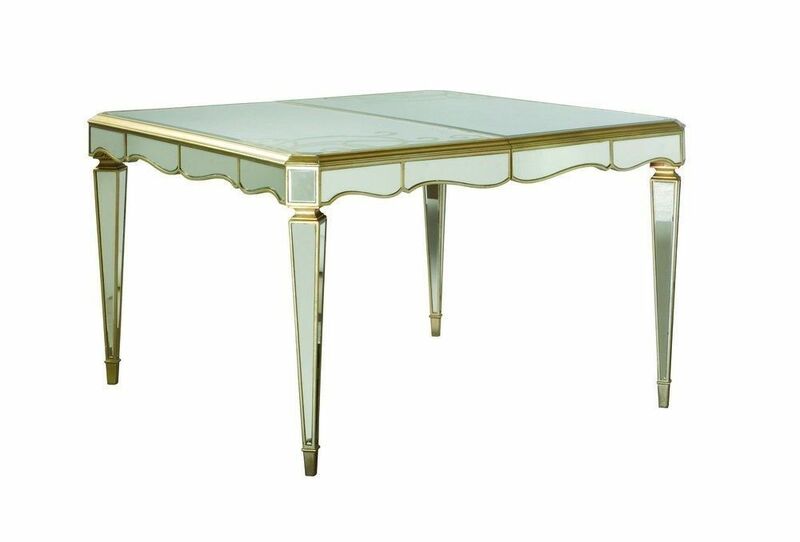 Crafted from premium hardwoods boasting beautiful crystal clear mirrors along entire table top, gentle serpentine skirt and on each side of its tapered legs. 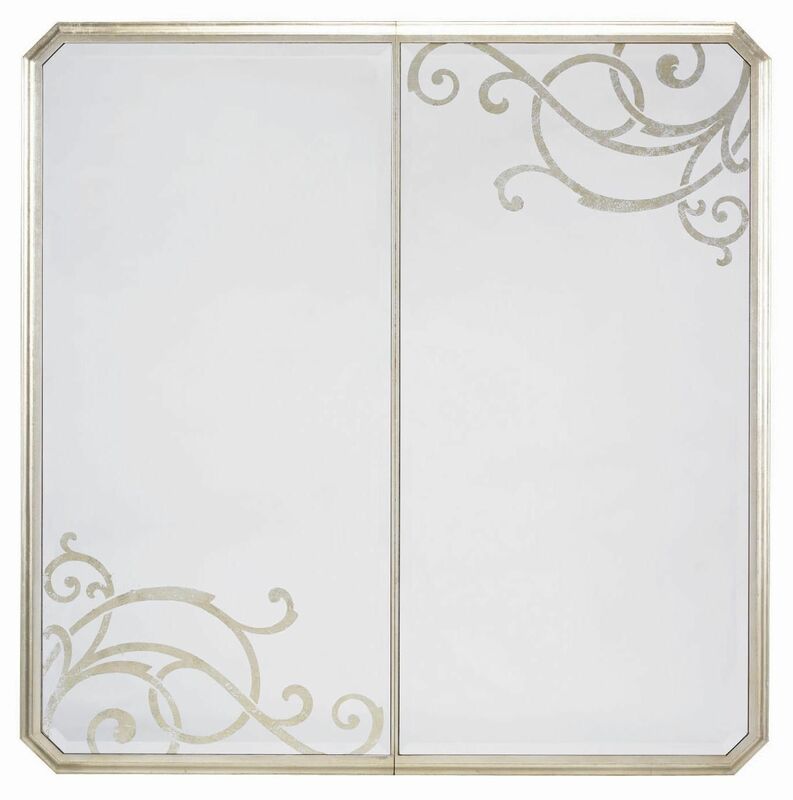 The perimeter of the wood frame itself features a gorgeous hand-applied silver leaf finish for added glamour. 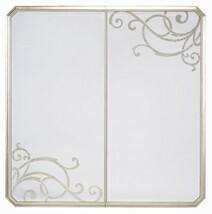 Table top has a silver scrolled detail at corners for added charm. 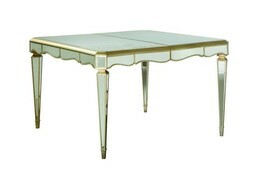 Add this fanciful and truly unique table to your home for that perfect couture character. Thanks for looking! Free shipping included in item listing -- all shipments include insurance and in-home delivery/assembly where applicable and unless otherwise requested. Your location depends upon which service/carrier is used. Please message me with any questions or for further details. Lower 48 states only. California, Florida Keys, Idaho, Maine, Michigan (906), Minnesota (218), Montana, Northern New York, North Dakota, Oregon, South Dakota, Utah, Washington state, Wisconsin and Wyoming will incur minimum freight charge due to location; message me with any questions PRIOR to purchase.